March is finally here and that means we have another fun themed holiday to celebrate! I always love doing activities that can bring in some holiday cheer! March reminds us Illinoinians that the spring weather is almost here! 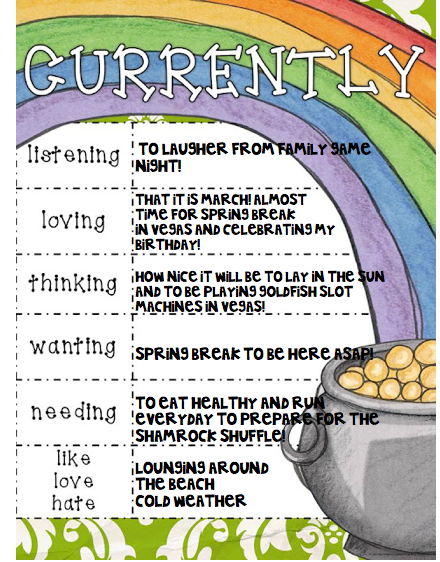 There's so much to look forward to this month with St. Patrick's Day themed activities, birthday's to celebrate (mine included! ), spring break, and the beginning of our third trimester of the school year! This week I've linked up with "Oh, Boy Fourth Grade" for the *March Currently! * I love this concept of sharing your personal fun diary with others! 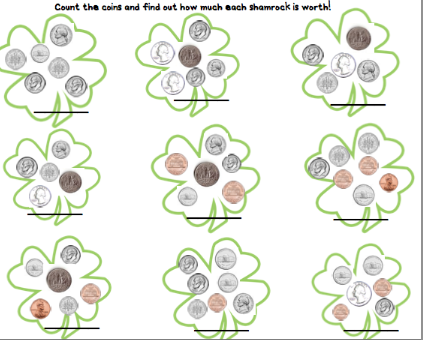 In lieu of St. Patrick's Day, I have created several different math activities that touch on different concepts and skills that we have learned about so far in 2nd grade! It always amazes me how adding some cute looking graphics to students' work can make the learning experience that much more engaging! 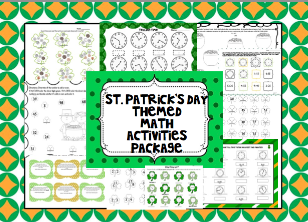 I hope you enjoy these fun St. Patrick's Day math themed activities! The activities are geared towards 2nd grade, but may also work for your gifted 1st graders or struggling 3rd graders. The concepts and skills included in this package are a review of skills that students have learned in 2nd grade. 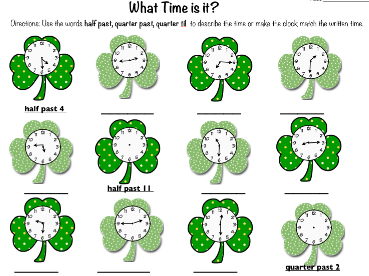 There are St. Patrick's Day themed worksheets, as well as games students can play with a partner, and activities for students to cut and glue their responses. * Story problems with double digit by double digit numbers and money. 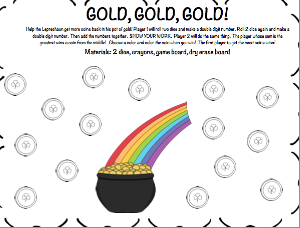 These activities can be great for math centers, for your EARLY FINISHERS, or can be used for your current unit of study! What math units are you currently working on? Click on the picture below to purchase these activities! I am so excited that March is finally here too! This product looks great! I love how it covers so many skills in one pack! It sounds like you have quite a fun spring break coming up! And your product looks great too! I bet I could use it with some of my first graders!